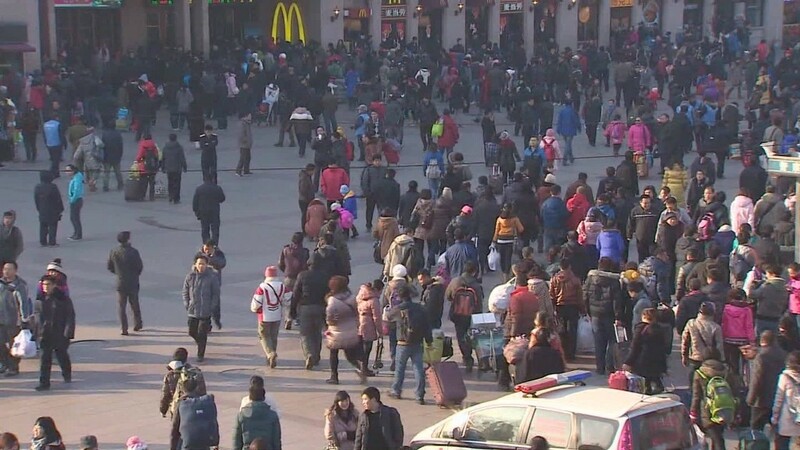 China is off to a rough start in 2016. The world's second-largest economy grew at the slowest pace in seven years during the first quarter, according to a CNNMoney survey of economists. Gross domestic product is forecast to have expanded by 6.6% in the three months ended March, compared with the same period a year earlier. That would be China's weakest quarter since the dark days of the financial crisis in early 2009. For the full year, economists expect GDP growth to slow further to 6.3% and fall short of the government's own target of 6.5% to 7%. That compares with annual expansion of 6.9% in 2015. Official GDP data for the first quarter will be published by China's National Bureau of Statistics on Friday. The country is also burdened with high levels of debt after years of aggressive lending. "The success of China's economic rebalancing in coming years will depend on policymakers' ability to maintain adequate levels of financial system liquidity while reducing bank debt and boosting the country's bond market," said Peter Donisanu of Wells Fargo. Much of the economic data issued this year -- from trade to manufacturing activity -- have painted a ho-hum picture of growth. Some of the weakness can be attributed to Lunar New Year, which fell in early February, and is a time when businesses and factories close.